1. 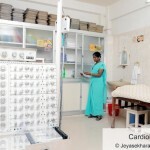 Coronary Care Unit : Well equipped Coronary Care Unit (CCU) with bedside cardiac monitors, multipara monitors, defibrillators, external cardiac pacemaker, trans venous cardiac pacemaker, portable x-ray, pulse oximeter, ventilators, infusion pumps, pipeline O2 and vacuum, ECG, CPAP, central venous pressure monitor, bedside echocardiography and Arterial Blood Gases. 2. Intermediate Care Unit : For intermediate care of Ischemic heart disease patients. 3. 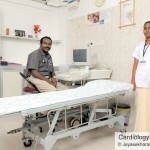 Colour Doppler Echo Cardiography : Latest Logiq 400-pro colour Doppler machine for doing adult and pediatric echocardiograms. 4. Computerized Tread Mill System : For routine post myocardial infarction and Ischemic evaluation. 5. Holter Monitor : For 24 hours ambulatory ischemic and arrhythmia monitoring. 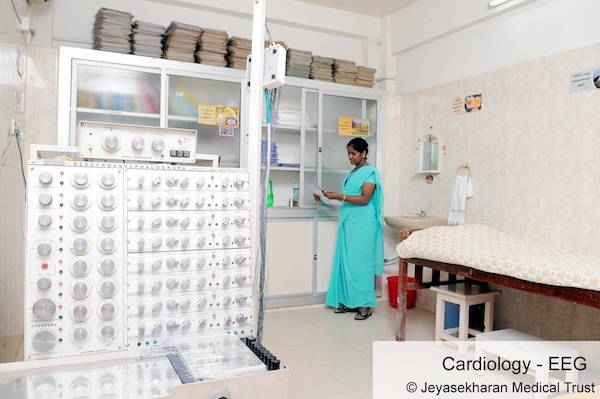 A state of art Cardiac Catheterization Lab has started functioning at Dr.Jeyasekharan Medical Trust since March 2005 under the able leadership of Interventional Cardiologist Dr. Chandrakumar Immanuel. 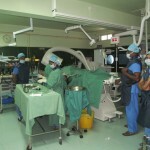 More than 4500 procedures have been completed since then. 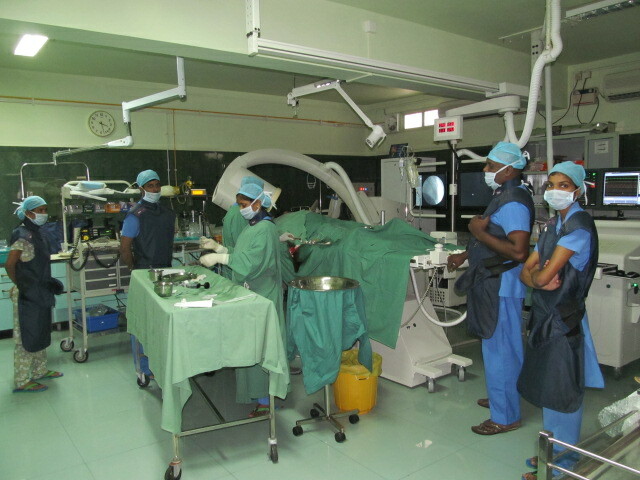 The Cardiac Catheterization Lab has a Phillips Allura FC Cath Unit and is capable of universal angiography and interventions. 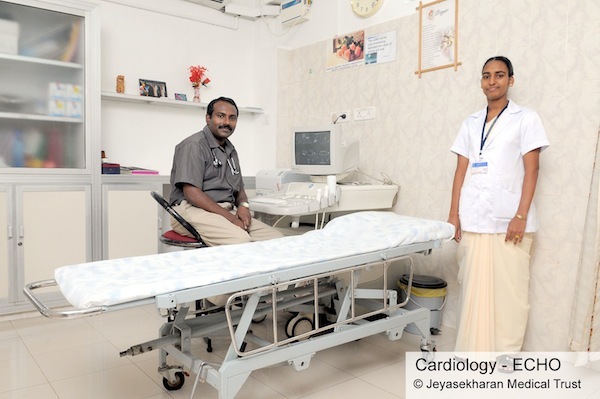 The department of Cardiology is completing 10 years of successful service to the people of Kanyakumari district.